Alumni Hall originally opened in 1925 and in 2011 was added to the National Register of Historic Places for its architectural significance. Designed by Nashville architect Henry C. Hibbs, Alumni Hall represents the Collegiate Gothic style and was the original student center on Vanderbilt’s campus, and acted as such for nearly 50 years until Sarratt Student Center opened in 1974. The driving force behind the building of Alumni Hall was to memorialize the Vanderbilt men who fought and died in World War I. This campaign was brought forward in March, 1919, by the Vanderbilt Alumni Association board. This shaped one of the distinguishing features of the building, which is located in the Memorial Room on the second floor. The names of the 44 Vanderbilt casualties are carved in stone above the two fireplace mantles, located at either end of the room. Over the years Alumni Hall has served many purposes, from the original student center to administrative offices. The renovation of Alumni Hall was the first in its 86-year history and maintains the integrity of the building’s architectural history. 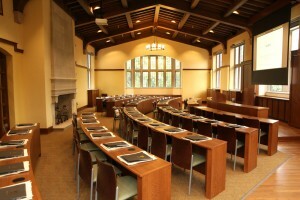 The Vanderbilt Board of Trust approved the project in November, 2011, to support a wide range of activities. 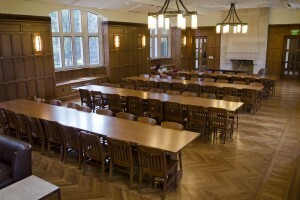 The updated facility supports catered dining, meeting, studying and socializing. Construction began immediately following Commencement in May, 2012, with completion in summer 2013. The renovation not only included updating the current spaces inside the building, but also expanding terraces on both the east and west sides of the building. 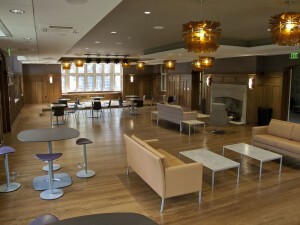 Every space inside Alumni Hall underwent a renovation. 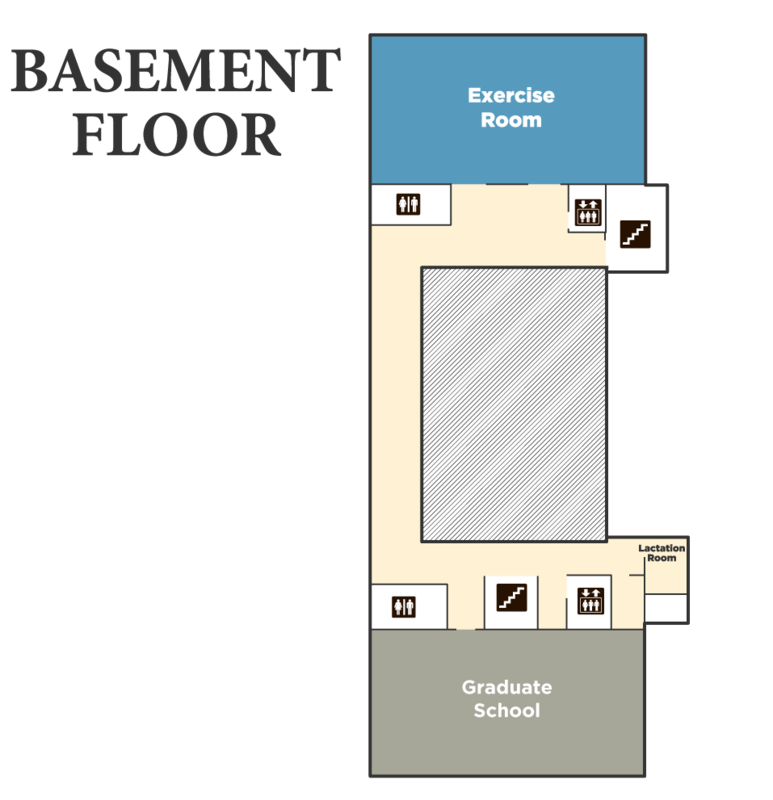 In the basement, students have access to a new exercise room. The first floor includes a new cafe, lounge, and the Graduate School administrative offices. 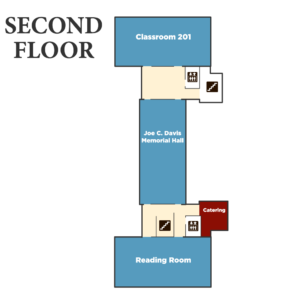 On the second floor the Memorial Room underwent extensive updates, and is joined by a new classroom and reading room. 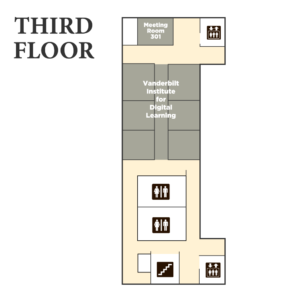 The third floor houses the Vanderbilt Institute for Digital Learning. 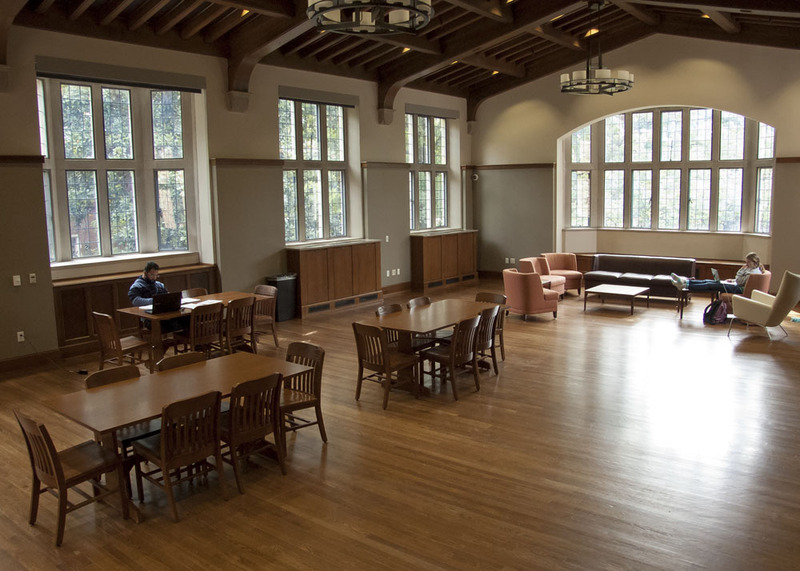 The increase in meeting space is a response to the increased student engagement and leadership on campus and compliments the renovations of Sarratt Student Center that occurred during the summer of 2012. The space also benefits the students living in the College Halls where Kissam Quandrangle formerly stood. 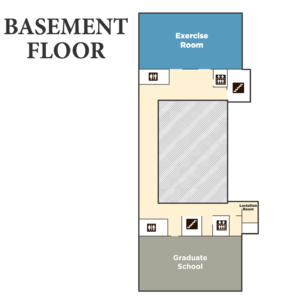 The exercise room in Alumni Hall is located in the Basement and includes both cardiovascular and weight training equipment. 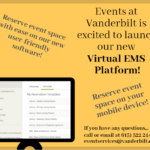 A valid Vanderbilt ID is required to access the Exercise Room. 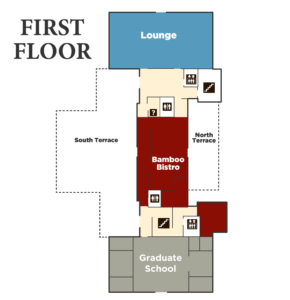 The Graduate School offices provide graduate students and postdocs with administrative and other support services. The main office in 117 contains the senior administration and staff that provide assistance on admissions, student services, communications, and the Office of Postdoctoral Affairs. The 010 office houses a small conference room, the Office of Diversity, Graduate School Career Development and Graduate Life Coach services. If you have a question or need assistance, visit our staff page to learn who offers the support for your specific needs. Office hours are 8 am to 5 pm Monday through Friday. 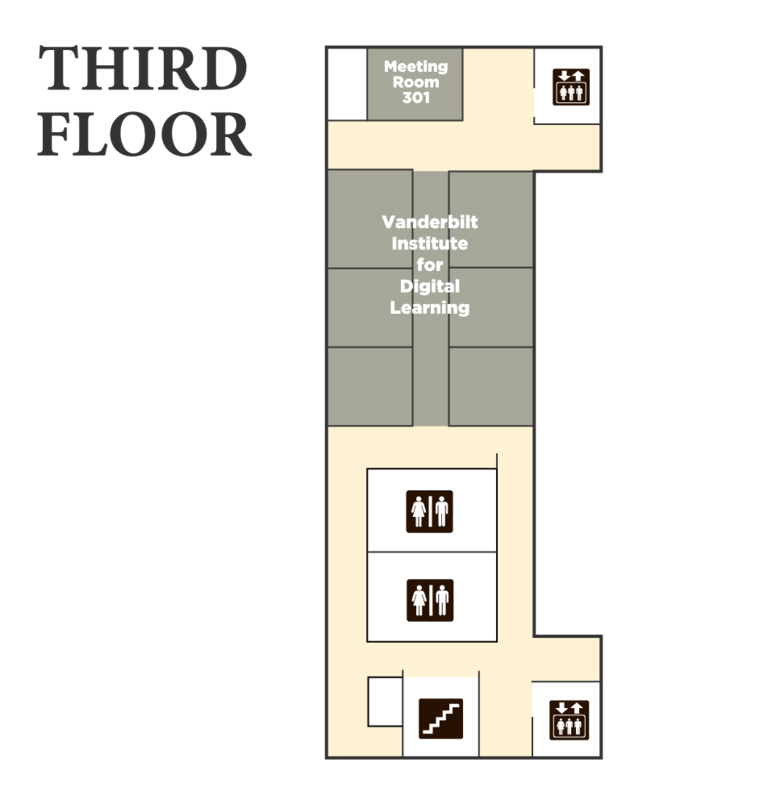 The Vanderbilt Institute for Digital Learning will focus on developing the university’s strategy related to digital learning for courses offered on campus and those offered through MOOCs and other platforms. It will manage the university’s partnership with Coursera and oversee the production of content for Coursera and for other platforms. In addition, the institute will study the medium itself to promote innovations in teaching on campus afforded by digital resources. It will also encourage and support faculty and student research on MOOCs.